A heart-pounding adventure starring a strong heroine who is battling the challenges of being a legend—perfect for reading aloud with the whole family. In this Scottish medieval adventure, after attempting a daring rescue of her war-band family, Drest learns that Lord Faintree's traitorous uncle has claimed the castle for his own and convinced the knights that the lord has been slain . . . by her hand. 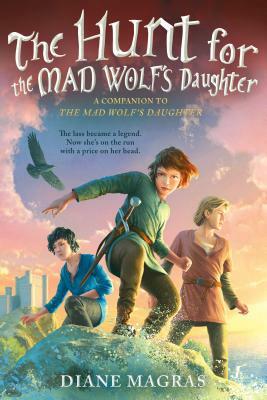 Now with a hefty price on her head, Drest must find a way to escape treacherous knights, all the while proving to her father, the "Mad Wolf of the North," and her irrepressible band of brothers that she is destined for more than a life of running and hiding. Even if that takes redefining what it means to be a warrior.